UNO confirmed that Sanskrit is the Mother of all languages. About 97% of world languages have been directly or indirectly influenced by this language. If you master Sanskrit language, you can learn any language in the world very easily. Most efficient and best algorithms for computer have been made in Sanskrit not in english. USA, Germany and France are working on several projects to devise programmes that can drive devices based on Sanskrit. By the start of 2021, you will find several devices having backend software of Sanskrit and simple commands like “send”, “receive”, “go”, “move” in actual Sanskrit language. Our own ancient language Sanskrit that made the world a harmonious place several centuries ago will soon become language of future – controlling the futuristic bots and gesture devices. Sanskrit had some major advantages that amazes scientists and language researchers, some even deeming it as divine language for being so pure and pious. 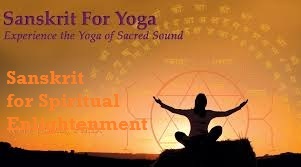 Sanskrit also decodes the real meaning hidden behind several hymns of Vedas and Puranas. The oldest texts in Sanskrit (the Vedas) are among the oldest in the world, and are believed to have been orally preserved unchanged for more than 2 millennia at least, despite not having been written down for more than a thousand years. The attention paid to language in Sanskrit (study of grammar, phonetics, etc.) was unprecedented outside until almost the 20th century. The modern fields of historical linguistics/comparative linguistics, and ultimately much of the interest in linguistics owes its origin to the excitement at having “discovered” Sanskrit; and big names in linguistics like Chomsky and Kiparsky have acknowledged Pāṇini as an influence. Poetry in Sanskrit is extraordinarily diverse, with over 100 common meters (metres), and books of prosody listing over 600 meters. Its literature includes works of dazzling complexity, including works that tell several stories at once using puns, works that contain words several lines long, brilliant examples of constrained writing, etc. The seven major ancient Sanskrit metres are the three 8-syllable Gayatri, the four 8-syllable Anustubh, the four 11-syllable Tristubh, the four 12-syllable Jagati, and the mixed padas metres named Ushnih, Brihati and Pankti. Once learned, it is very easy to internalize. Sanskritic culture had a great reluctance towards writing. Oral transmission was preferred. Even when writing started to appear, it was the least important texts that were set to writing first: accounting work, administrative notices, land grants, followed by literary and scientific works, and the sacred works last of all. Sacred works were re-emerged, compiled and written whenever the dharma is in danger. The most extreme example are the Vedas, which apart from being among the world’s oldest texts might well be the ones with the largest interval of time between their composition and first being written down. The oldest layers are dated around 1500 BCE by modern scholars, and they were not set down in writing until probably the Gupta period (5th century or so), which makes some 2000 years. The largest and smallest numbers ever known to mankind in any form of languages is sourced from Sanskrit. 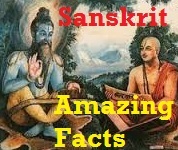 In fact Sanskrit is world’s first and only language that has verses detailing significance of large and small numbers. From the days of Brahma to the single moment of Bhagwan Shiv, everything is covered in definite numbers. The scale of numbers in Sanskrit is amazing, recent languages never scaled to the largest and smallest numbers detailed in Sanskrit scripts. Hindu scripts have measuring scales from 10 (-7) Truti to 10 (400000000000000000) infinities Paro. Truti and Paro are names of Bhagwan Shiv and Shakti. Both names can be used for Shiv and Shakti in different contexts. Both are symbol of energies. And every element or being that comes within these scales and extrapolated/interpolated are governed by energies. Aatma exist in both the scales. Despite the above fact (initial reluctance to writing), the proliferation of works continued, with the result that there are an estimated over 30 million Sanskrit manuscripts today with a conservative estimate of 7 million in India itself. This means there are orders of magnitude more manuscripts in Sanskrit than in Latin and Greek put together. These manuscripts are on a very diverse range of topics, everything from sacred texts to literary works (poetry, drama, satires, histories, epics, novels) to scientific works (mathematics, linguistics, logic, botany, chemistry, medicine,life management) to entire works on things as seemingly obscure as elephant-raising or even “A Method to Grow Crooked Bamboos for Palanquin Beams”. Ancient Nalanda library had most of these Sanskrit texts in their storage until it was ravaged and burnt by terrorist mughals (third time a muslim invader, Muhammad bin Bakhtiyar Khalji, destroyed World’s oldest and largest storage of Sanskrit scripts burning Nalanda University completely. This included information about 1008 streams of science that we are not aware of today. Considering recent development, Human race will take at least another 1000 years to reach stage of richness that science knowledge of Nalanda University possessed. It is not shocking that all terrorist muslim invaders had Muhammed in their name since the invasion of Kaaba). Sadly, most of these have not even been catalogued, and need deep research for compilation in proper manner and then get them indexed or digitized or translated. Sanskrit did not have a “default” script (like Devanagari) until very recently (<200 years ≈ the introduction of printing in India); it was written by everyone in the regional script of their region, in over two dozen scripts. This may make it the language that has been written in the most number of scripts. One of the reasons for Devanagari appearing to be the standard today is the power of Hindi, and also the fact that many early Sanskrit works were printed in Bombay where Devanagari is the script of the local language Marathi. Sanskrit is the “mother” of the most languages of North India and even the Romani language of the Romani people (“Gypsies”). Even biased theorists of fake Aryan invasion who kept ridiculing Hindu texts, gave credit to Sanskrit after they did research and found it to be the source of all languages, the Indo-Aryan languages evolved from Middle Indo-Aryan languages, which in turn evolved from Old Indo-Aryan = Sanskrit). Moreover, even the Dravidian languages (Telugu, Malayalam, Kannada, and to quite some extent Tamil), which do not have their origins in Sanskrit have borrowed such a large proportion of their vocabulary from Sanskrit that it could well be called their foster mother. The Sanskrit’s sphere of influence extended all the way to South-East Asia (what is now Laos, Cambodia, etc. ), without any invasion or forceful conversion or use of military power originating from India. Though the importance of Sanskrit has diminished significantly in the last few centuries due to invasion in India, it is far from a dead language: Sanskrit literature continues to thrive and flourish, with novels, short stories, essays and epic poems continuing to be written, and its authors picking up several literary awards (including highly regarded Jnanpith award in 2006). There are more teachers of Sanskrit in India than combined learners of USA, France and Germany. 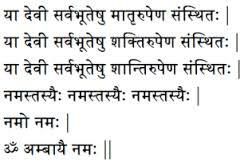 Encrypting the value of pi in a shloka: There is a numbering system in Sanskrit called the Katapayadi system. This system ascribes a number to every letter or alphabet in the script, on which the ASCII system in computer science is based. 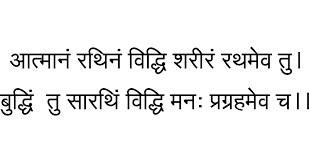 When the letter in the following shloka is replaced with their corresponding number from the Katapayadi Sankhya, we get the value of pi accurate to 31 digits. Sanskrit has the highest number of vocabularies than any other language in the world. 102 arab 78 crore 50 lakh words have been used till now in Sanskrit. If it will be used in computers & technology, then more these number of words will be used in next 100 years. Sanskrit has the power to say a sentence in a minimum number of words than any other language. Sanskrit is a highly regularized language. In fact, NASA declared it to be the “only unambiguous spoken language on the planet” – and very suitable for computer comprehension. Sanskrit is an official language of the Indian state of Uttarakhand. There is a report by a NASA scientist that America is creating 6th and 7th generation super computers based on Sanskrit language. Project deadline is 2025 for 6th generation and 2034 for 7th generation computer. After this there will be a revolution all over the world to learn Sanskrit. Learning of Sanskrit improves brain functioning. Students start getting better marks in other subjects like Mathematics, Science etc., which some people find difficult. It enhances the memory power. James Junior School, London, has made Sanskrit compulsory. Students of this school are among the toppers year after year. This has been followed by some schools in Ireland also. There are reports that Russians, Germans and Americans are actively doing research on Hindu’s sacred books and are producing them back to the world in their name. Seventeen countries around the world have a University or two to study Sanskrit to gain technological advantages. Surprisingly, it is not just a language. Sanskrit is the primordial conduit between Human Thought and the Soul; Physics and Metaphysics; Subtle and Gross; Culture and Art; Nature and its Author; Created and the Creator. Sanskrit is the scholarly language of 3 major World religions – Hinduism, Buddhism (along with Pali) and Jainism (second to Prakrit). Today, there are a handful of Indian villages (in Rajasthan, Madhya Pradesh, Orissa, Karnataka and Uttar Pradesh) where Sanskrit is still spoken as the main language. For example in the village of Mathur in Karnataka, more than 90% of the population knows Sanskrit. Mathur/Mattur is a village 10 kms from Shimoga speaks Sanskrit on daily basis (day-to-day communication). Even a Sanskrit daily newspaper exists! Sudharma, published out of Mysore, has been running since 1970 and is now available online as an e-paper (sudharma.epapertoday.com)! The UK is presently researching on a defence system based on Hindu’s shri chakra. Another interesting fact about Sanskrit language was that the process of introducing new words into the language continued for a long period until it was stopped by the great grammarian Panini who wrote an entire grammar for the language laying down rules for the derivation of each and every word in Sanskrit and disallowed the introducing of new words by giving a full list of Roots and Nouns. Even after Panini, some changes occur which were regularised by Vararuchi and finally by Patanjali. Any infringement of the rules as laid down by Patanjali was regarded as a grammatical error and hence the Sanskrit Language has remained in same without any change from the date of Patanjali (about 250 B.C.) up to this day. Within the Vedic language itself, various stages of development can be found. After undergoing several changes the vedic language finally merged itself into the classical Sanskrit. Though there is much dissimilarity between the Vedic and Classical Sanskrit, the phonetic conditions are almost the same. As regards the difference, many old words are lost and new words have come in. Certain words have changed their meaning and new derivations have been introduced. Differences can be noticed in grammatical forms too. The Vedic Period which lasted from 4000 or 3000 B.C and the Classical Period which had its beginning around 600 B.C., went concurrently with the last stage of the Vedic Period and practically ended at about 1100 A.D. In a sense, it can be said that the Classical period as extended up to modern times ever since many works in almost all branches of learning have been written even after 1100 A.D up to this day though these are mostly in the form of explanation and criticism of the earlier works. Sanskrit is the only language in the world that exists since millions of years. Millions of languages that emerged from Sanskrit are dead and millions will come but Sanskrit will remain eternal. It is truly language of Bhagwan. plzzz send more sloks in that eamil iits important………….. Fake Bible Story of Adam and Eve..
once Lord shiva’s 7 SaptaRishi send to whole world and lived on all island or kaha bhagwan ka name phalayo.. stay in longest time..
but Adam and eve didn’t exits..
2) the word HINDU is not mentioned anywhere in any Spiritual texts of Vedas and Puranas , So as we know Hinduism is oldest or Ancient Dharma we call it Sanatan Dharma, The word “Sanatan” means Ancient and the word “Dharma” means the duties i.e for example duty of a person being a Father,Mother ,Brother, human being or friend or a doctor, duty which lord Krishna taught to Arjuna when he refused to fight in Mahabharta..